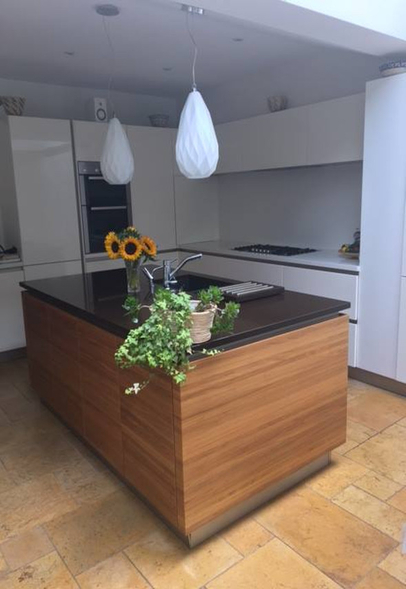 Brilliant white high gloss finish from our Next 125 range. 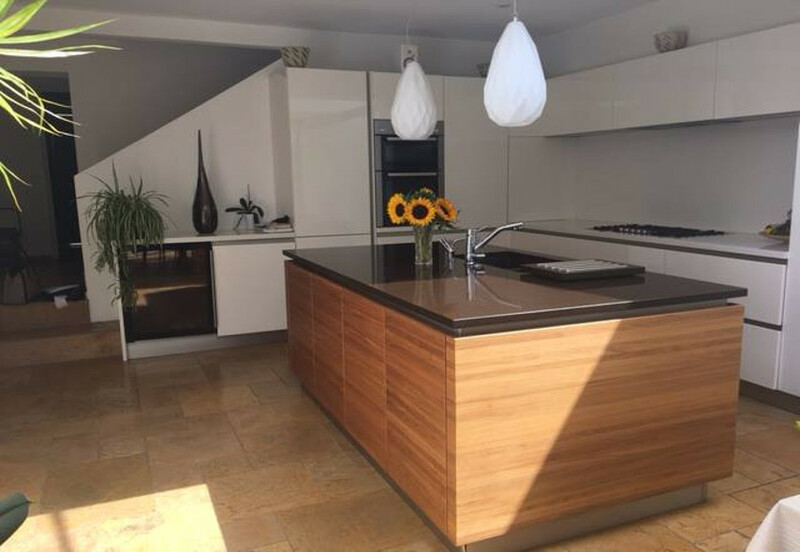 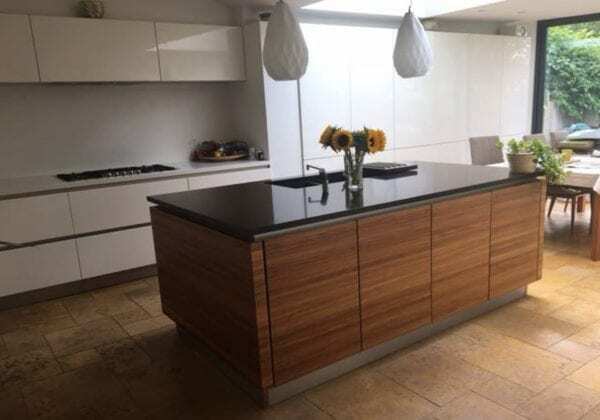 The island is a contrast feature in Natural walnut. 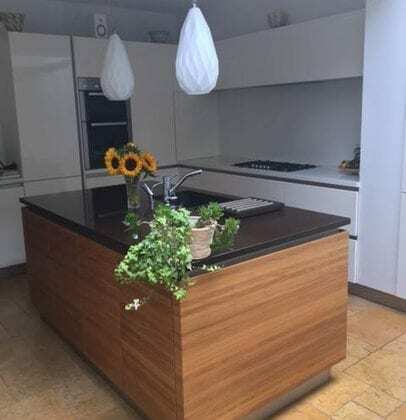 The worktop, except the island, are made from Corian in Cameo white at 38 mm thickness with the same material used as a splashback.